Below are some solutions you can use to improve your memory right now. There are lots of other steps you can take to improve your memory even more. These are discussed in detail on the rest of this site. A great place to start is my Get a Better Memory page. But for now, on the page below are a number of steps you can take immediately to remember better. To remember things better: 1) Pay close attention; 2) Use all of your senses; 3) Recite the material; and 4) Have confidence in your memory. After reading this list of tips, you might also want to check out my quick guide to how memory works. Your "attention" is how tightly you focus on new information. I can tell you right now that if you are not focusing intently - if your mind is wandering or you are "out of it" - you are not going to remember well. What you want to do is increase your brain's power of concentration, plus you want to be able to crank this up whenever you need to. Below are some quick fixes for increasing your concentration right now. Chew gum. According to research, the act of chewing gum increases the flow of blood to your brain. Researchers have shown that people chewing gum are able to concentrate more intently and remember new information better. Chew the sugar-free type to avoid a blood sugar spike. Breath from your belly. Many people are shallow breathers and don't know it. Take several deep, slow breaths from your belly. Stomach breathing activates the brain's Theta waves, which research shows improves memory. Deep breathing also increases the oxygen flow to your brain cells, which helps "wake them up". Close Your Eyes. When you want to recall something, go somewhere quiet and shut your eyes. According to research, closing your eyes boosts memory. When your eyes are closed, visual distractions are blocked out and more brain resources become available for remembering. Do arm circles. Go where no one can see you (for example, the bathroom) and do 10 sets of arm circles. To do an arm circle, simply extend your arm straight out, then swing your arm all the way around behind you and back to the front, keeping your elbow locked. Do 10 on each side. This move only takes about 30 seconds but will increase your heart rate and the flow of blood to your brain. Play a brain game. Puzzles and brain teasers force your mind to get into concentration mode. You can play brain games on paper or with friends, and you can also play them online. One of my favorite online free memory games is Lightning Librarian (shown at right). Eat a brain snack or meal. A meal heavy on carbs and sugar will kill your concentration because of the way it spikes (and then crashes) your blood sugar. Similarly, skipping meals tends to make you light-headed. Instead, eat a small, balanced meal. Include foods that help the brain operate well, such as fish, vegetables, and whole grains. Squeeze your right fist, then your left fist. One study found that squeezing your fists in a particular order during memory tasks can improve recall. Participants were asked to memorize a list of 72 words. The group that remembered the best squeezed their right fist for 90 seconds before starting to memorize the list. Later they squeezed their left fist before trying to recall as many words from the list as they could. Researchers guessed that squeezing the fists in that order changes the brain temporarily in a way that boosts memory. I know, it sounds weird. But it might work for you. Drink a liter of water. Don't drink sodas. Don't drink coffee. Don't eat a candy bar. These will not improve your concentration, they will just cause you to crash. 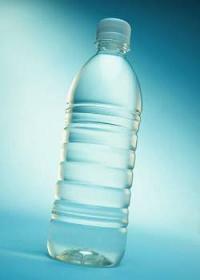 Instead, get a liter bottle of water, and drink the entire thing straight down. Many people are dehydrated all the time and don't realize it. Your brain is very sensitive to this. Drink that bottle of water, and you'll almost certainly feel more alert. Use "time boxes". When you need to study new information, sit down in a quiet spot and set a timer. Give your self only "X" amount of time to read review the material (for example, a half an hour for a magazine article). Break it down further - say 10 minutes to read an article, then 20 minutes to review and recite the information. Having a timer going and a predefined "time box" forces you to focus, because you know that your time is limited! Are you concentrating now? Good, here are quick ways to actually remember the information better. Realize that different parts of your brain remember different sense impressions. For example, images are stored in one area, sounds in another, tactile (touch) sensations in another. What you want to do is plug new information into your brain using as many different senses as possible. The idea is that you can build multiple memory pathways to the information. For example, if you fail to remember the material through sight, then your audio pathway may allow you to access it. The more sensory pathways you engage, the more likely you will later be able to jog your memory and recall the information. See it. This one is obvious but not always easy. When you are reading, you should be seeing the information in your mind. Sometimes when reading too quickly or while distracted, we may think we've read it, but - in the words of memory expert Harry Lorayne - we may not have achieved Original Awareness of the material. Without this, a memory cannot form. For non-written material or physical items, use your new ability to concentrate to really see the item. Look carefully and slowly at the shape, color, texture of the object, the material its made of. Say it. Read new material out loud. Find a secluded place, perhaps at home, so you don't distract others. Repeating the information verbally out loud, which was Abraham Lincoln's favorite memory technique, forms memory pathways not only through the visual sense (you see the words on the paper), but also through hearing the words. You now have two ways to recall the information. Outline it. Summarize critical concepts in writing. This is also known as note-taking. The act of writing is a physical action that stimulates specific pathways in the brain. Explain it in writing. Want to prove to yourself that you truly understand and remember a concept? Explain it in writing as clearly as you can, with as much detail as possible from memory. As you write, pretend you are teaching it. Do it. If it's a procedure you need to remember, do it. Do it several times. The act of "doing" is a separate mental pathway that you create. Just reading about something (or just hearing someone else explain how to do it) is not good enough. Draw it. Can the information be associated with one or more images? Draw them, even if you are not an artist. Just the act of sketching on paper, especially bizarre, silly images, will engage your visual and creative memory - giving you yet another path for remembering the material. Imagine it. Imagine (visualize) the material you want to remember. Studying chemistry or atomic theory? Try to see in your mind's eye the electrons spinning around the atomic nuclei, try to visualize the molecules you are studying about. Learning history? Try to imagine what the battle must have been like, the location, the combattants, what they were wearing, their weapons. Make it real to you. Bring it out of the abstract. Research it. Pull even more brain pathways into the situation. Go on the Internet and research examples. Find more detail than your book or your instructor or that article your read about explained. The more interconnections you can make in your brain by linking information together, the better you will remember. Emotionalize it. Find some way to become "connected" with the material. Look for ways to relate emotionally. Anything emotional will be a lot easier to remember. It can make you sad or happy or excited or intrigued. It doesn't matter, but you must find some way to care about the material. Convert it. Trying to memorize dry facts, like dates, numbers, formulas? Find patterns in the information and convert these to something meaningful. For example, try to create rhymes, try to match up the details with facts you already know, patterns can even be found in the shapes of numbers and formulas if you study them closely. When you have time, read the memory systems pages on this site to learn ways of making this technique even more effective. Question it. Don't be a passive and take everything dished out to you. Question the validity of new material. Ask yourself how this or that fact is known, what is the evidence? Is it believable? What does it imply, and how does it relate to what you already know? By questioning material you make it your own and you make it much more memorable. When reading a chapter in a book, scan the headings and turn each backwards into a question. Then when you read the chapter, look for the answers. Recite, recite, recite. To recite means repeating within a few minutes and hours what you have just learned. Studies show that most forgetting occurs within just a few minutes. If you recite the information, instead of forgetting it you will be more likely save it in long-term memory. Don't just passively reread the material, either. Say it out loud from memory, or write it down from memory. Use flash cards. As you study, write key facts on index cards. On the front, write the name of the concept, then on the back, write the details. During and after each study session, flip through your stacks of cards and test your knowledge. There is a page on this site where you can download CueCard, free flash card software. You can use this software to create flash cards on your computer, which you can print out if you want or use on-screen. I've also created free sets of printable math flash cards you can print out to memorize basic addition, subtraction, multiplication, and division math facts. Repeat in your head. When listening to a lecture, the radio, or other source of audible information, repeat the information mentally as you hear it. 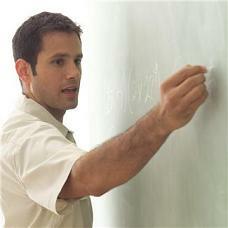 After each sentence spoken by the instructor, for example, say the sentence back to yourself in your head. This doubles the number of times you hear new information, plus it makes you an active participant. Rephrase and reuse. Shortly after learning anything new, reuse it in your own way using your own words. For example, when you meet someone new, use their name in the conversation one or two times to help you remember it. Quiz yourself. Every time you learn something new, give yourself a quick quiz within a few minutes. Every few minutes, pause and force yourself to say back what you've just studied or heard. If you can't remember much, that means you need to go back and read or study it more closely. You are wasting your time if you are not actually learning the information as you go along. Teach it. If you can teach it so that someone else understands, that means you know it. If possible, teach someone else the details of what you've learned, soon after you learn it. In a school situation, this means joining a study group and volunteering often to be the "explainer". Or, become a tutor. For more ideas on reciting and remembering, see my Best Study Skills page. If you're not careful, you can be your own worst enemy when it comes to remembering things. The power of positive thinking is real - and so is the power of negative thinking. If you tell yourself you have a bad memory, eventually you will start to believe it. The next time you catch yourself thinking negatively about your memory, just stop. Instead, actively shift your internal dialogue in a more positive direction. Tell yourself, "I can remember this material. I can do this!" If you need resources on keeping a high level of motivation anytime you need to learn (and remember) something new, take a look at www.school-teacher-student-motivation-resources-course.com. The ideas above are things you can start doing right away to improve your memory. To take memory improvement even further, explore the other areas of this site. The How to Get a Better Memory page is a good place to start.